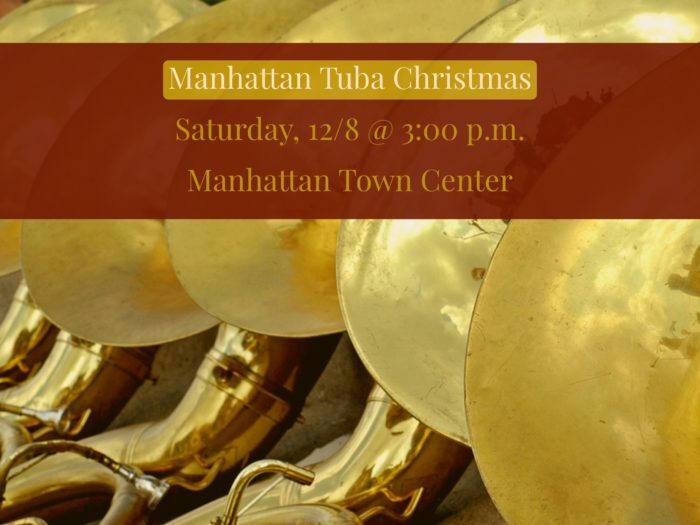 Manhattan Tuba Christmas - Downtown Manhattan Inc.
Come experience a spectacular tuba sensation in the mall! The Manhattan Tuba Christmas is part of the Holiday Music Festival put on at Manhattan Town Center. 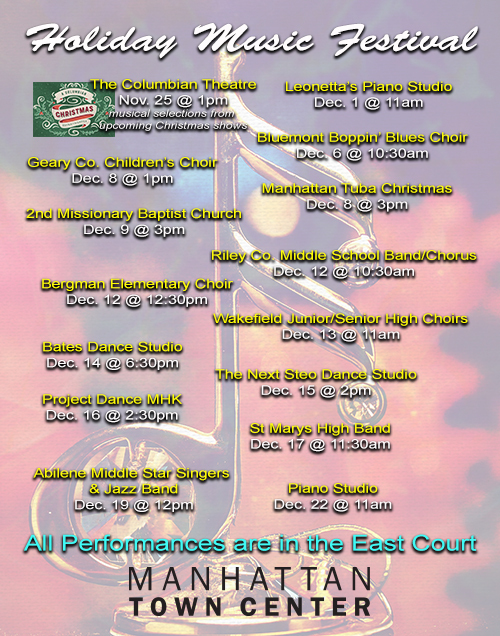 From local children’s choirs to area dance studios, there’s plenty of entertainment while you shop this holiday season. Find more details at manhattantowncenter.com/events/.